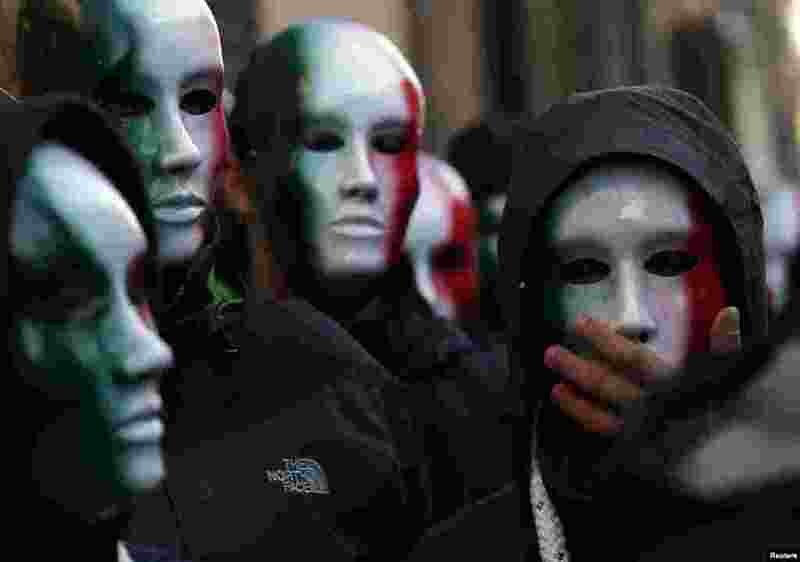 1 Members of Casapound far-right organization wear masks in the colors of the Italian flag before a demonstration organized by "People from pitchfork movement" to protest against economic insecurity and the government in downtown Rome. 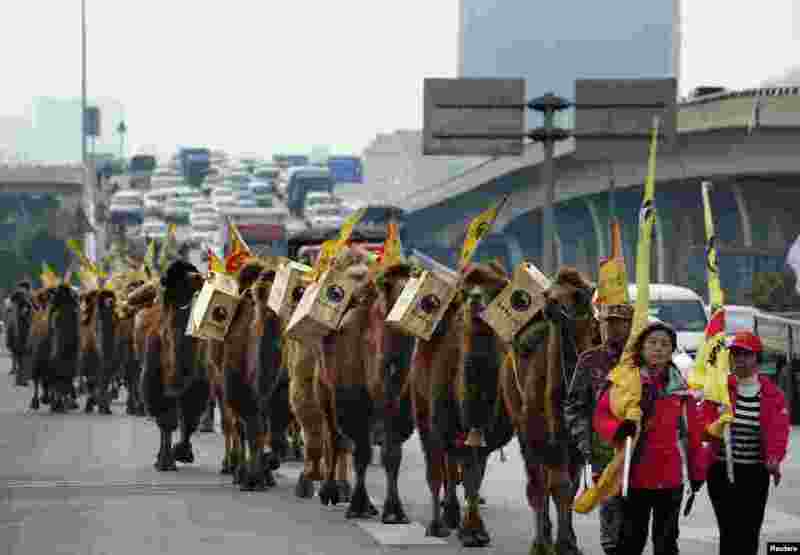 2 About 100 camels carrying boxes of tea walk on a highway during an event re-enacting the ancient tea trade journey from China to Europe in Changsha, Hunan province. 3 Hundreds of birds swarm around the trees in Mesen, Belgium. 4 German's Maria Hoefl-Riesch practices during the first training session for the FIS Alpine World Cup Women's Downhill in Val d'Isere, French Alps.